Ida Beehan attended Knockanean National School from 1925 to 1933. Ida walked to school every day, dancing around puddles all by herself.It took her forty five minutes to walk to school. There were two teachers in the school at the time. There were thirty children in the school . The principal was Mrs. McInerny. You were not allowed to write with your left hand and if you did you were punished with a slap across your knuckles or on the palm of your hand. School started at nine thirty and if they were not on time for school you would get a slap. Everything was done through Irish and Knockanean was known to be a very up to date school in the years that Ida attended. They even studied Botany at an early age. There wasn’t any hurling or football in the school but the girls were taught to sew and knit at school. They had copybooks with red and blue lines and on which they had to write between, and they had school books as well. They learned to use cursive writing from an early age. For lunch Ida had homemade bread with butter and jam. In the yard the girls skipped and the boys played marbles. She was given a lot of homework and in her spare time she loved climbing trees. The class rooms were quite small, in winter they had to bring in a sod of turf to keep the classroom warm. They didn’t have a uniform and in summer some even took off their shoes. Ida made her Communion in first class and went into town for a meal to celebrate. Ida said the School has completely changed since she came to Knockanean in 1925. 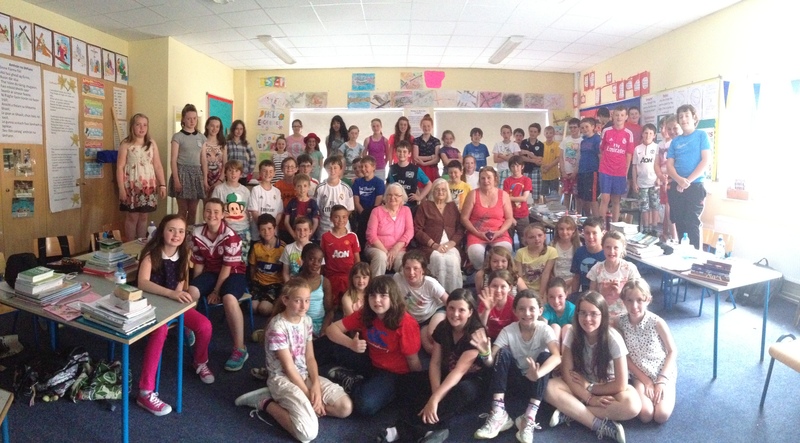 Today Anna, Ben and Finnian Cosgrove attend Knockanean NS. Their Granddad was Ida’s first cousin. Sarah Barron also attends Knockanean N.S. and is also related to Ida. This interview was carried out by 5th class, recorded by Siún McNamara and edited by Sarah-Jane Doyle. We would like to thank Mhairi and Bernie Barron for making this interview possible. 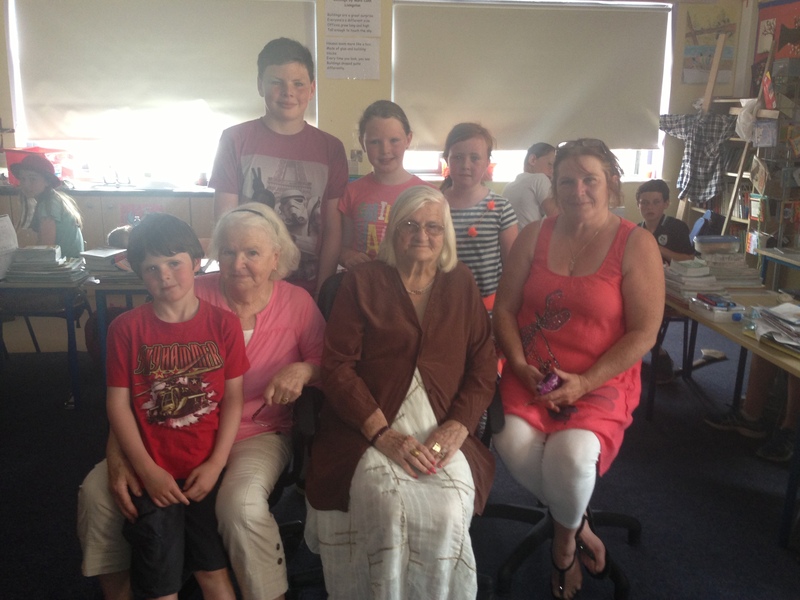 We would also like to thank Ida and Catherine for giving us their time and would love to see Ida return to Knockanean next year, to tell us about her life after Knockanean.